Peter Allen specializes in reimagining and realigning the way companies leverage technology-enabled business services to win in their markets. An expert at Shared Services and Outsourcing, and an early leader in the application of Internet connectivity, Peter is accomplished at all facets of commercial service marketing, sales, and service delivery. Having started his career as a member of the Arpanet Engineering team at BBN, Peter has applied networking to every aspect of his professional career. Peter’s experience comprises all facets of go-to-market and back-office business operations with emphasis on the efficient deployment of human and invested capital. He has led transformation programs for market-leaders in Financial Services (JPMorgan, CitiGroup, ING, UBS, Bank of Tokyo – Mitsubishi); Consumer Goods (P&G, Kraft, Estee Lauder); Retail (McDonalds); Media/Entertainment (Disney, Univision); Manufacturing (Chrysler, Delphi Automotive); Public Sector, and others. JPMorgan’s global technology operations consisting of computing, storage, and communications services, plus applications support for all Corporate Functions; yielded $500M cost-savings over 7 years, enhanced service quality, reduced capital expenses, and agility through standards. P&G’s strategy for structuring its Global Business Services operations (Customer Care, Customer Logistics & Financial Services, Human Resources, IT) that delivered the agility required to support a rapid growth through acquisitions (Gillette, Clairol, Iams) and geographic expansion. CSC’s global marketing and sales operations to expand market coverage, unify the selling processes across service lines, improve channel partner effectiveness, modernize the digital footprint of the firm, and improve the ROI around all categories of spend. Prior experience as a Chairman/CEO (NASD: DDIM), sales / marketing leader for a Fortune-150 company (NYSE: CSC) and a strategic transformation consultant, Mr. Allen has been engaged across a variety of industry sectors for business model transformation initiatives. Throughout his career, he has focused on the design, implementation and transformation of technology-enabled business services. Most recently, Peter was Managing Director at Alvarez & Marsal (A&M), a leading corporate transformation consultancy. Peter led the Enterprise Services Practice focus on driving innovative use of “As A Service” operating principles for companies at all stages of maturity. Peter is a recognized expert in the strategic sourcing of IT and business process operations, creation of shared services operations and adoption of service-delivery models designed to optimize performance and support growth. He has broad expertise in designing and operating global sourcing models that provide flexible and sustainable advantages in cost, capacity and capability for global enterprises. 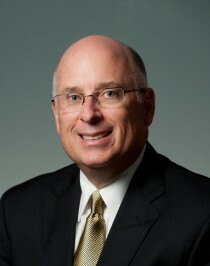 Prior to joining A&M, Mr. Allen was Executive Vice President for Global Sales and Marketing at Computer Science Corp. (CSC), where he designed and led global sales, marketing and alliance organizations comprising technology, business consulting, software and managed services yielding $19B/year of sales. He also led CSC’s $6.5 billion / 48,000-person global managed services business unit during a period of transition. Previously, he was a Partner and Managing Director for Technology Partners International (TPI, now part of ISG), where he led ITO / BPO sourcing advisory engagements for global 1000 companies. He also served as the chairman, president and CEO of Data Dimensions, Inc.
Mr. Allen earned a bachelor’s degree in computer science from the University of Maryland and a Certification of Corporate Directors from the University of California at Los Angeles (UCLA) Andersen School of Business. Peter serves as the Chairman of the Board for Liberty Source PBC, a domestic provider of Business Process Outsourcing services using military veterans and spouses. He is a board member for nPower, a NYC-based not-for-profit that provides professional skills training for underserved young adults and veterans.